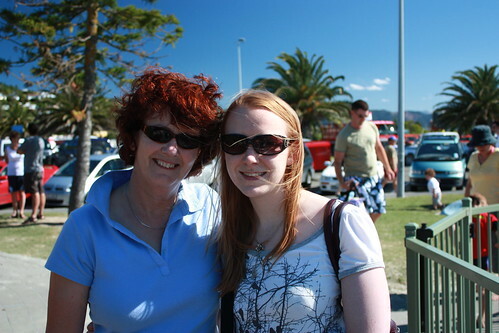 We spent a few more days in Picton. One day we went to one of the wineries in Marlborough for lunch. In fact we drank Marlborough Sauvignon Blanc nearly every day – I’m going to miss that! There is plenty of Marlborough Sauvignon available in the UK but it costs more and some of my favourites aren’t available. 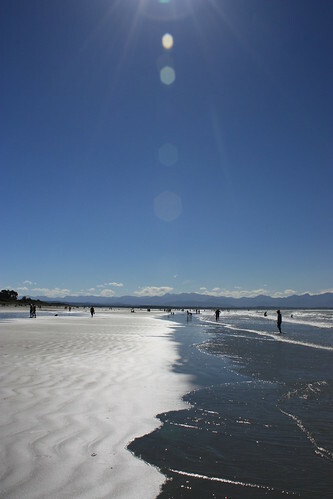 We took a day trip to Nelson, where we did a little shopping and then went to the beach. 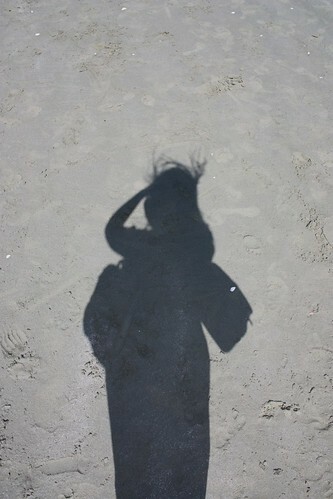 Self portrait in light and sand. This photo brought to you courtesy of my new polarising filter. 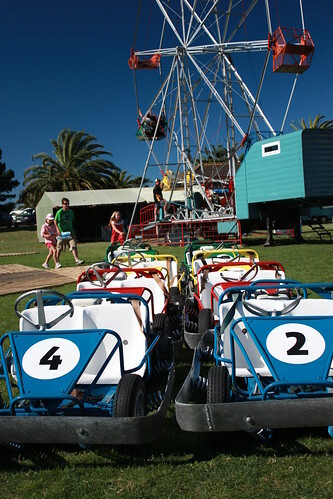 There was a fun fair next to the beach. Back in Picton. 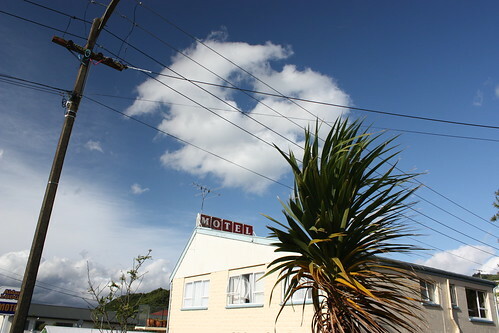 This photo pretty much sums up small town New Zealand.